Hi I’m Tristan Emond with Mindful Living Realty. I have a pet peeve of people turning left in places when the road is so busy turning left is an impossibility. So on this special edition of Tristan about Town… Rapid City: You Can’t Turn Left Here. Welcome to O’Hara Stadium. There are football games, track and field games, and when you’ve got Central playing Stevens, everybody’s here. There’s people lined up all the way across the road. When things get out…you can’t turn left here. The parking garage on Fifth Street. Lot of activities, lots things happening. This gets piled up all the time. You can’t turn left here. You know, you really can’t turn left here – it’s a one way street. The Civic Center. When they have events here they pack them in. You’ve got a hockey game going at the same time as a concert at the same time some kind of event. When people are ready to get out, they’re all out at the same time. When you’re driving out of here, you can’t turn left here. Whew – I feel so much better now. Thank you for giving the opportunity to talk about my problems. Perhaps I should start a support group! What do you think? Did I miss some areas of “do not turn left” in Rapid City? Let me know in the comments below. As always, see you next time in Tristan about Town. 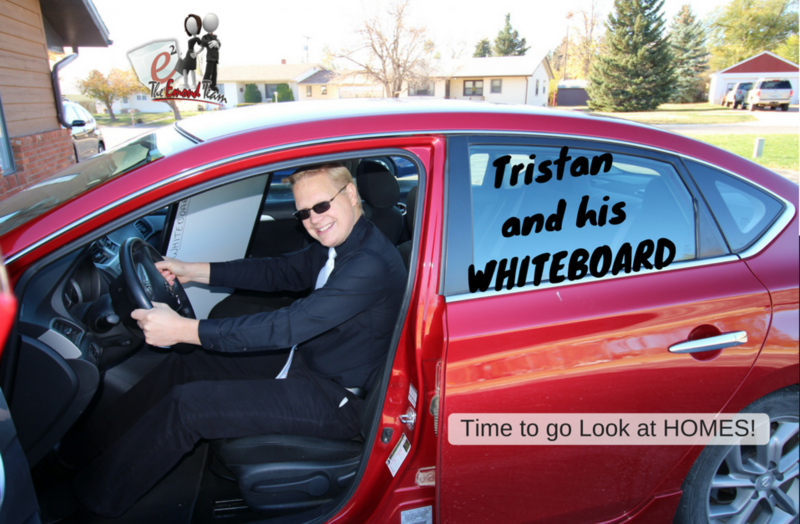 ⟵Get Your Home Ready to Sell | Tristan and his WHITEBOARD LIVE!